Chilli fish, an Indo Chinese dish which goes well with fried rice, nan, chapati, roti etc. This is my version of chilli fish which I found in most of the Chinese restaurants in UAE. I love to have Chinese cuisine from restaurants. My first preference is always chicken but that day unexpectedly I have to order for fish chili. The dish which changed all my concepts.... It tastes almost same like that of chicken chili and that made me give this recipe a try. Like chilli chicken and chilli prawns, here the fish is marinated with soy sauce and other spices, then deep-fried which tasted so heavenly and yummier than any other fish gravies. You can also add vegetables like a carrot to this gravy which gives an excellent texture to this gravy. 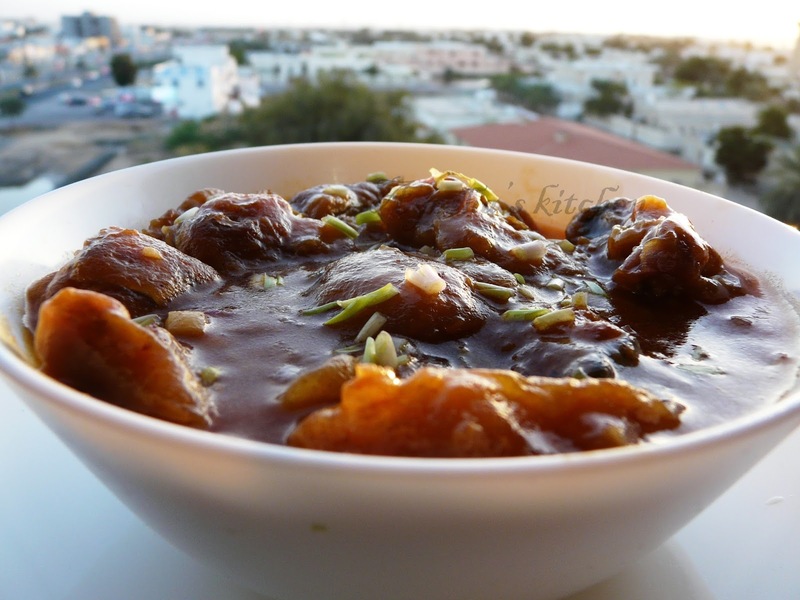 Hope you all will love this recipe and please don't forget to drop your valuable feedback. Enjoy!! 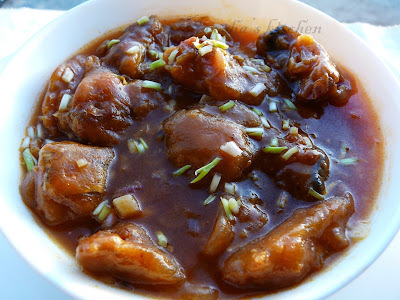 Marinate the cubed fish/fish fillet with above ingredients given for marination. Keep refrigerated for 20 minutes. Heat a deep bottomed wok with oil and dip each marinated fish in the flour batter and put into the hot oil. Deep fry it. The flame must be medium low only. When done set aside in a strainer. Mean while heat oil in another pan and add chopped garlic, white part of spring onion, chili powder, pepper powder, and salt. Mix well. Keep the flame medium low. Saute for 2 minutes and then mix tomato sauce, green chili sauce, soy sauce and sugar in a bowl very well and pour it over the sauteed mixture. Mix well. When done add the cornflour mixed water to this gravy and bring to boil. When it boils, the gravy becomes thick and now add the fried fish. Simmer the flame and mix very gently. Cook for few minutes and finally add 1 tsp of tomato sauce ( optional only). Sprinkle some spring onions on the top.